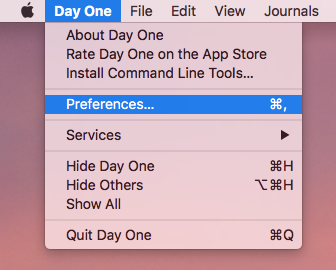 To access preferences, click Day One > Preferences in the file menu, or use the keyboard shortcut Command+comma while Day One is the active app. 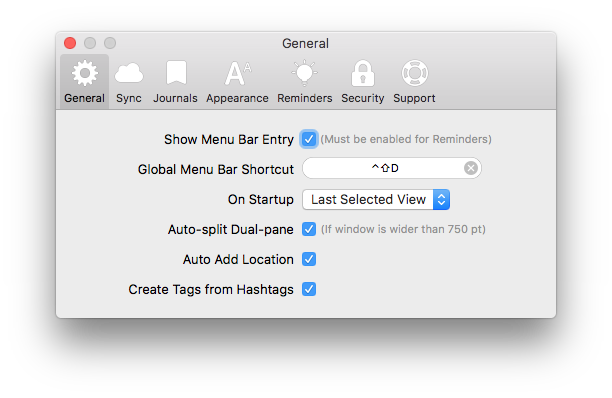 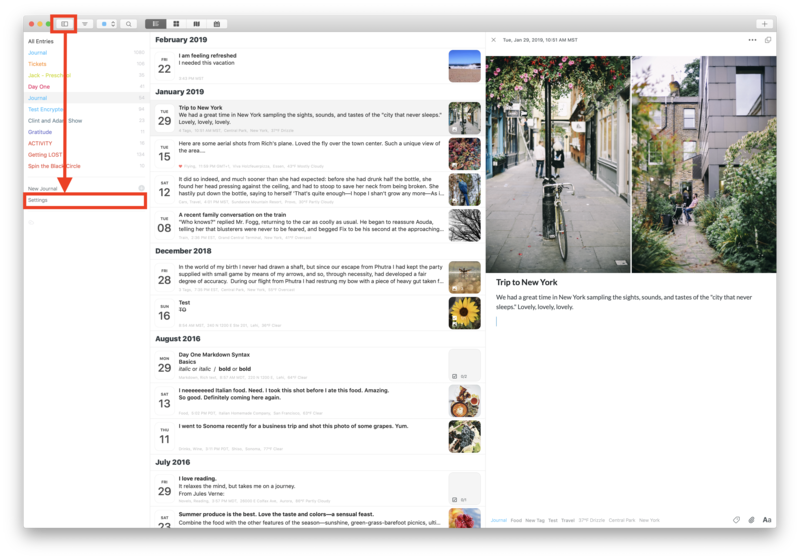 In version 3.0 and later, Click Settings in the Journal sidebar when enabled. 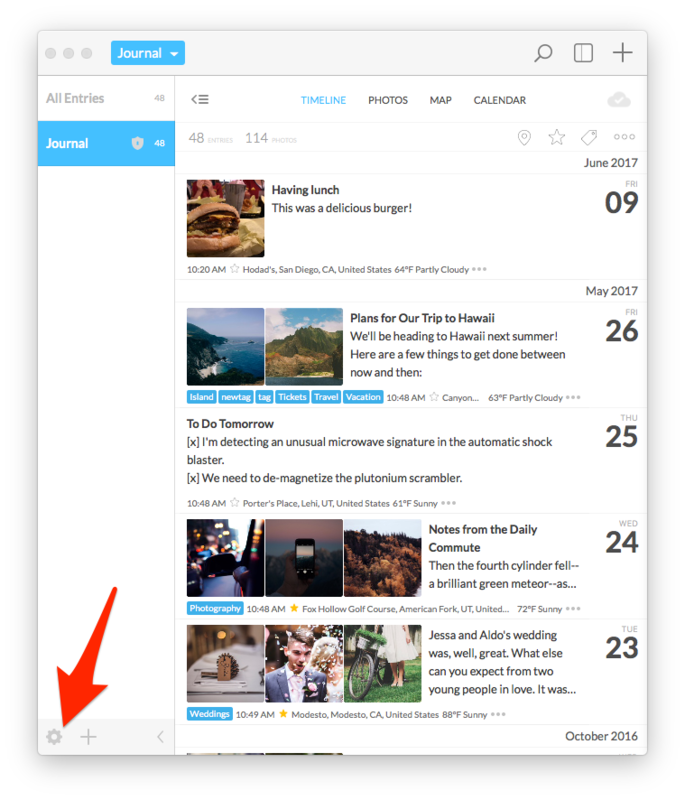 In version 2.9.2 and earlier, you can also click the gear icon at the bottom left of the Journals pane.